One of the best things that we did this summer was a buy a membership to the water park at our local zoo. We live really close to the zoo, and after weighing our options, we felt that we got the biggest bang for our buck by purchasing this membership vs. joining a local pool. We saved over $200, actually. My girls have a wider variety of things to do, we are still close to home, plus we enjoy other zoo benefits (free zoo rides! ), so it has been a win, win for us. Sun care is also a very important part of our day at the water park. 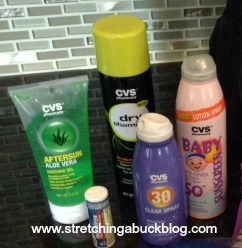 I have been using CVS brand sun care products for the last several summers, and I have been super happy with them. I love the spray products – SPF 50 for my kids (I use lotion on their faces), and SPF 30 for me and my husband (SPF 50 on our faces). We typically put our suits on and then go out on our patio to spray ourselves down. We rub the sunscreen in an let it soak in while we are driving to the park. I also love CVS brand Aloe Vera when I accidentally get a little “crispy” and CVS brand dry shampoo since I often wait until we get home from the park to shower. It smells amazing! Recently I shared 7 Ways to Maximize Your CVS ExtraCare Program Savings. 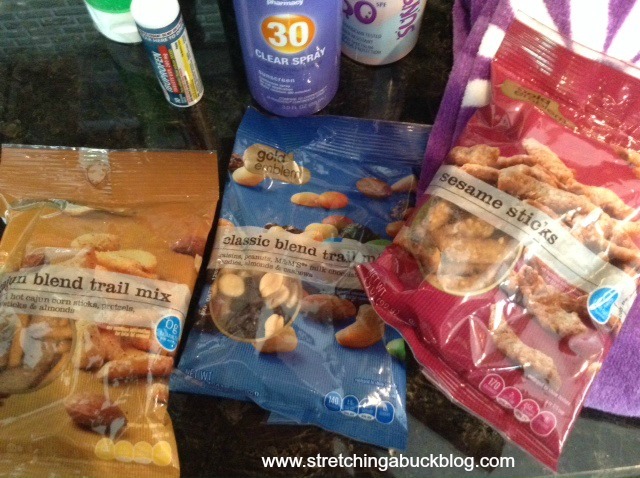 CVS might not be the first store that you think of when you are trying to save on summer essentials, but CVS is actually one of the first stores that I visit to stock up on summer goodies. That includes sun care, snacks, make up, beauty products and more. I know and trust CVS store brand products, and I have yet to find a CVS brand product that is inferior to the national brand. 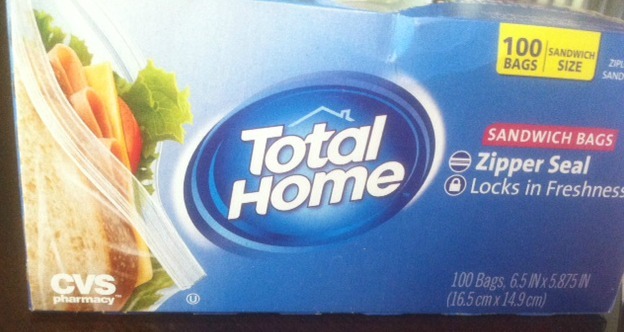 I will buy name brands – especially if I can earn ExtraBucks – but I also love the savings that can be had on CVS brand items. I always scan my CVS card at the “magic” coupon center when I walk in the store – and often I will receive coupons to save even more on the CVS brand products that I know and love. (My 4 year old actually looks forward to watching the coupons come out of the machine. :-)) And selfishly – I love that I can run in and out of any CVS store within minutes – with both kids in tow – because the stores are well laid out and a manageable size for me to get through fast. 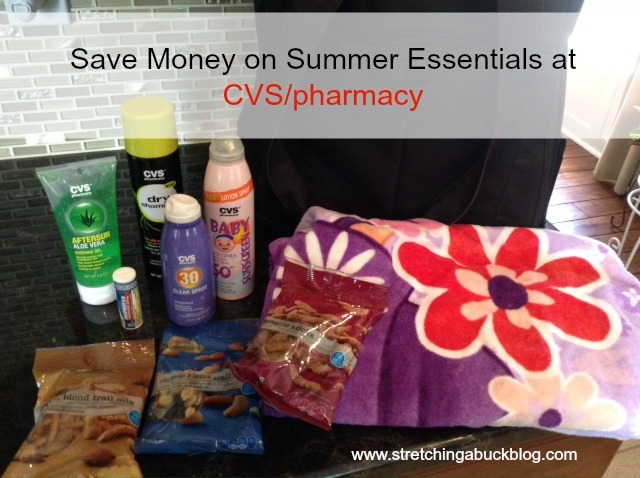 In the next few weeks I’ll be sharing other ways that I save on summer essentials at CVS/pharmacy. I would love to hear what your favorite CVS products are in the comments! View my weekly CVS/pharmacy sale and coupon match ups here. Disclosure: This post was sponsored by CVS/pharmacy. As always, all opinions expressed here are strictly my own. View my disclosure policy for more info.